Hey There!! Sorry that I have not shared a travel experience with you in a while…it feels like I’ve been so many places yet no where at all…I’m always looking to explore more of the beautiful Bay Area, both new and old (I really love the old). 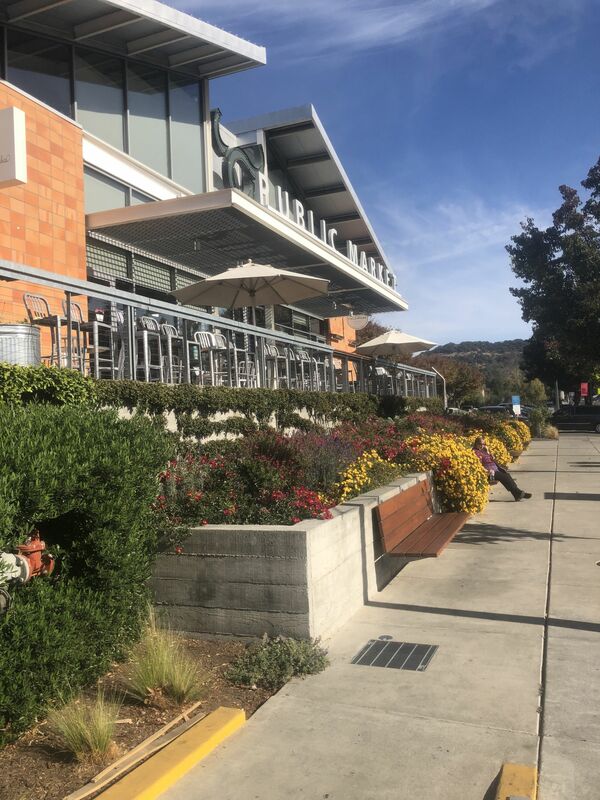 I’m sure many of you have either been or heard of beautiful Napa Valley and maybe even had the chance to taste some of their world renowned wines. Well did you know that you can actually explore wine country in many ways! I’m talking ferries, shuttles, tours, and even TRAIN! Before cars were invented most of the country was connected by rail and once in a while you’ll stumble upon an area that still preserves their historic rail lines, Napa is one of those places! 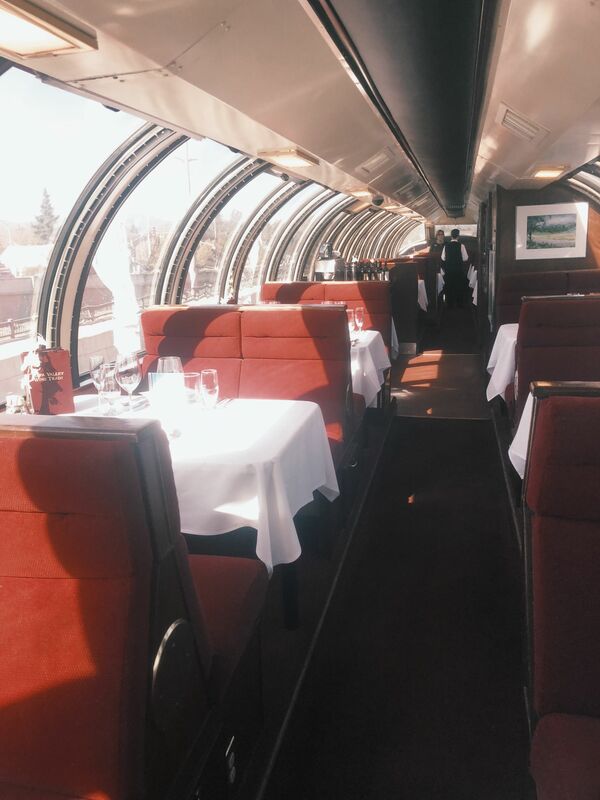 Almost like you’re in a time machine and get to go back to the early 1900’s (1915-ish) you’ll get to board a historic train while enjoying a luxury dining experience. Depending on if you’re headed to Napa for a day trip or weekend trip, I’m sure food is something essential to your wine tasting experience! If you’re riding the lunch-time wine train and need to kill a little time in the morning, grab a cup of coffee, etc….I recommend starting off at the Public Market, just a few blocks from the Wine Train. They offer a great selection of food, cheese, coffee, and other goods. We stopped by Five Dot Ranch for a nice quick breakfast, absolutely delicious, then walked over to the train entrance. 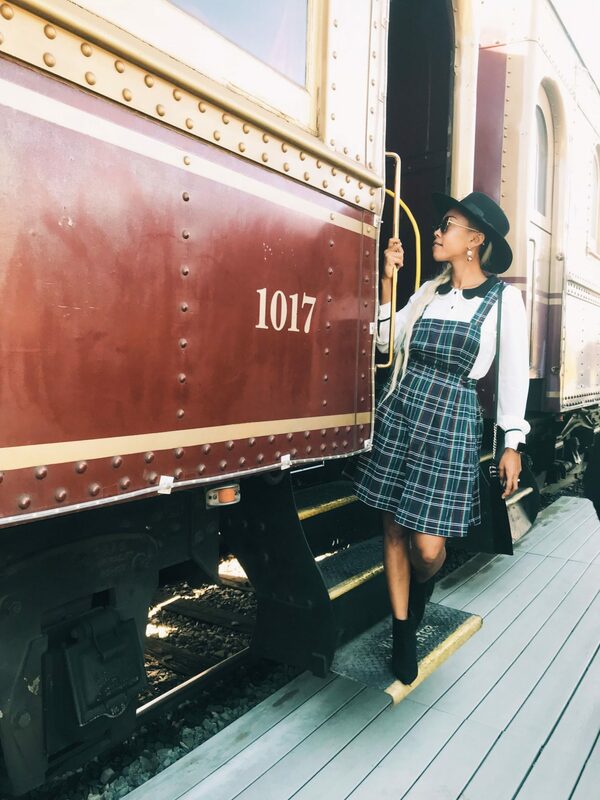 If you’re headed up to Napa Valley for the weekend then I definitely recommend that you take some time out of your itinerary to ride the Napa Valley Wine Train. 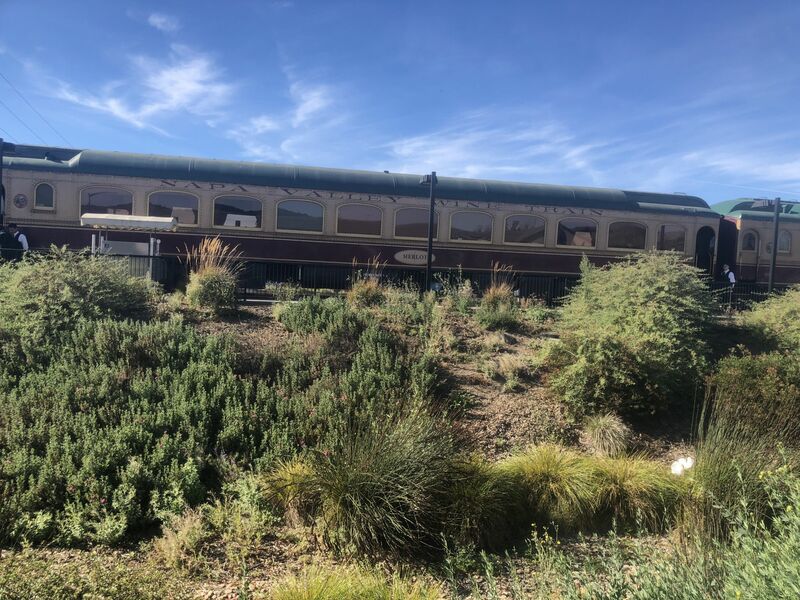 Not only is it a unique way to explore Napa but you can easily combine some of your favorite winery tours with the Napa Valley Wine Train. Already have a tour booked? You can just opt for the gourmet express and relax for a dining experience at a much slower pace with nonstop views of Napa Valley Wineries. If you have some time to plan your trip to Napa, maybe consider one of their themed train rides. Some train experiences include Santa Train, Thanksgiving, New Years Dinner Train, Valentines Day, Napa Valley Wine Train, and of course the different winery combo tours. They also have special carriages if you are looking to upgrade to a more private suite. We opted for the Dome Room upgrade which essentially is an all glass car so you can have panoramic views of with little to no obstruction. Note that the Vista Dome Upgrade is a bit pricey! However, you do have guaranteed private dining vs. the regular train cars have shared table accommodations. You might be wondering if you should opt for a scenic lunch tour or a romantic dinner ride. It’s really your preference and ultimately up to what you want to see the most. If you really want to get all of the views of the winery then maybe opt for the lunch option. If you’re ok being scenic for part of the ride and maybe getting a romantic dinner in, then opt for the dinner ride (during the late spring/summer months). We opted for the lunch train ride because we were combining it with a winery tour and didn’t want to run out of time. As mentioned above, they include a full 4-course meal with appetizer, soup or salad, entree, and dessert during your experience (all of which was delicious)…along with a HUGE selection of wine many from the vineyards and wineries you’ll pass! So the early vs late boarding option is for those riding in the regular train car seats, if you’ve upgraded to the Vista Dome then this will not apply to you. For an extra $20 or so per person, you can board the train earlier than others so you can select your ideal car and seat for your dining experience. There seemed to be a TON of options when we were walking through so unless you know of a car type that is always packed, I don’t think this upgrade will get you much. Thank you for reading, and thank to Napa Valley Wine Train for having us! As a Bay Area Native, I’m a little bummed it took me so long to ride it but happy to get another one off the bucket list!